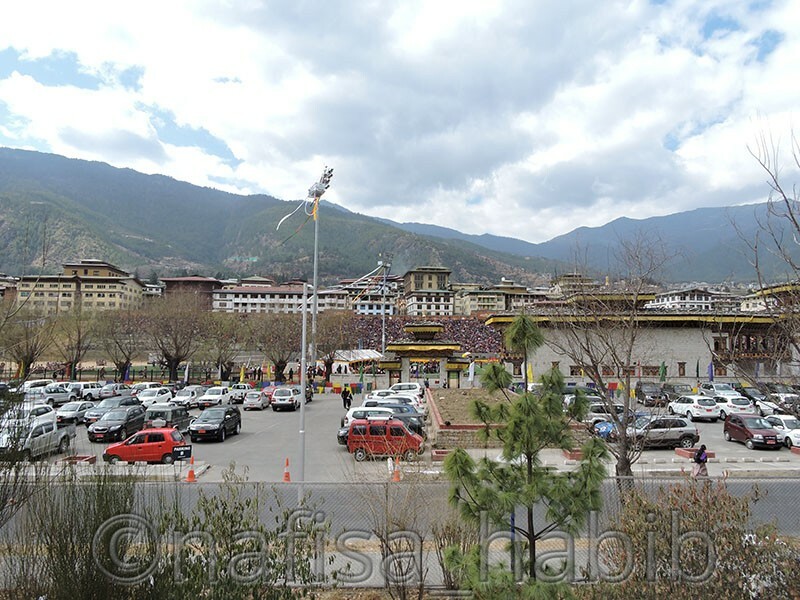 During winter I took a short trip to visit Thimphu and Paro. This country was new to me, and I was not sure whether I’d love to stay for more days or not. Well, I must say I fall in love at first sight, the day I took a prestigious entry of this most peaceful and modest South Asian country. No visa required for (Bangladesh, Maldives, India). So you’re fortunate if you belong to those countries else cost is a bit high to travel to Bhutan. I was reading TASHI DELEK magazine provided by DrukAir (Royal Bhutan Airlines) and observing the beauty of the mountains. Oh, today (Feb 20) is the National Holiday for Losar (Tibetan New Year)!! The rest three-day celebration for (Birth Anniversary of His Majesty the Fifth King Jigme Khesar Namgyal Wangchuck), came to know from the magazine. 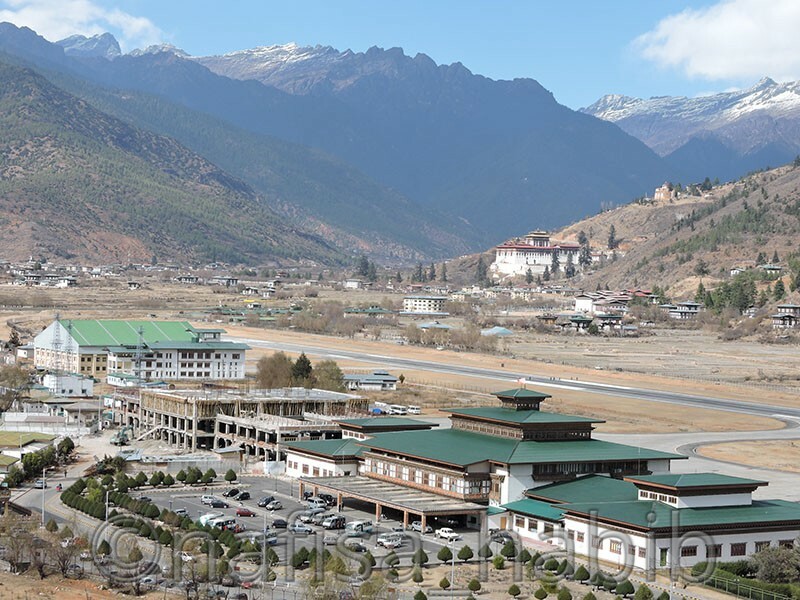 I was completely unknown about the first ever Bhutan International Festival 2015 as well until I landed in the Land of the Thunder Dragon (Druk) at the Paro International Airport. WOW! What a Beauty! 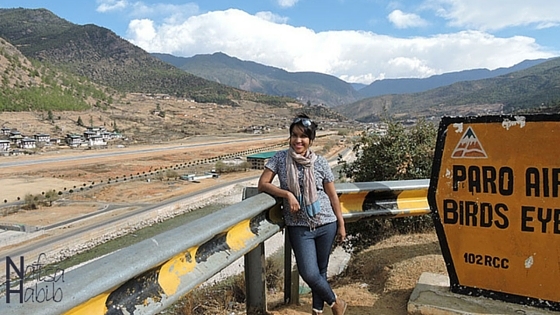 I’ll never forget the one-hour scenic drive from the airport to Thimphu. 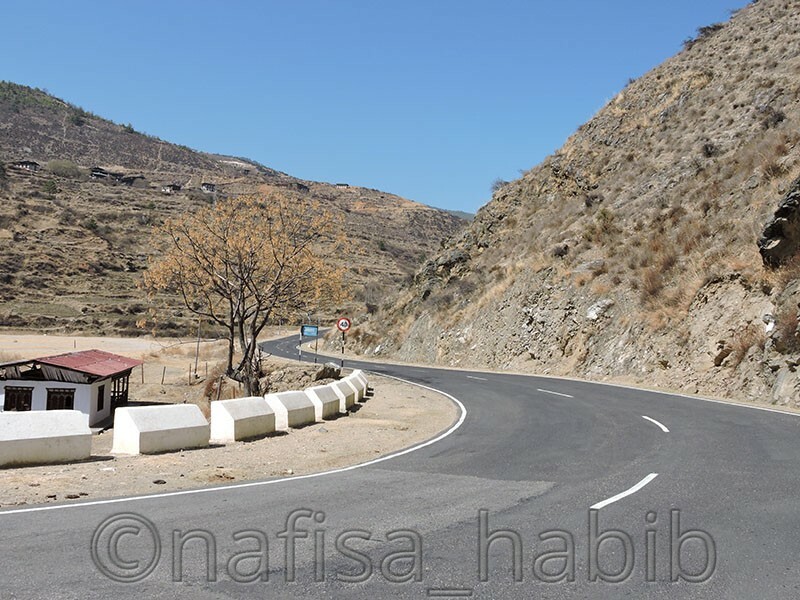 Both sides captured with mountains and in the middle clean and beautiful highway. Mind-blowing. On the way crossed beautiful Paro Chhu (river) and Isuna Bridge. Pine and Cypress (National Tree) trees created an extraordinary beauty in the roadside. Traditional and colorful architects and houses/buildings are also eye-catching. 2 Like This Post? Click To Save To Your Pinterest Board! I took not a single moment to close my eyes as it was totally impossible ignoring the natural beauty here. 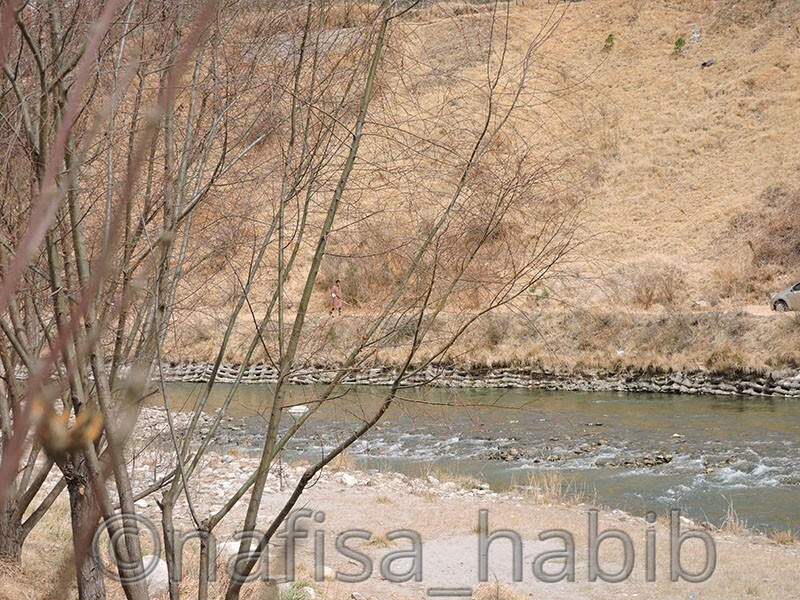 Just a picturesque country with rich landscape everywhere. The snowy beauty of Jomolhari, Birds Eye View of the Paro Airport, Beautiful Thimphu and Paro Chhu, Deep Pine forests in Takshang, Tall Cypress trees in Dochula, Snowfall in Chele La Pass and much more is there to explore as a nature lover. 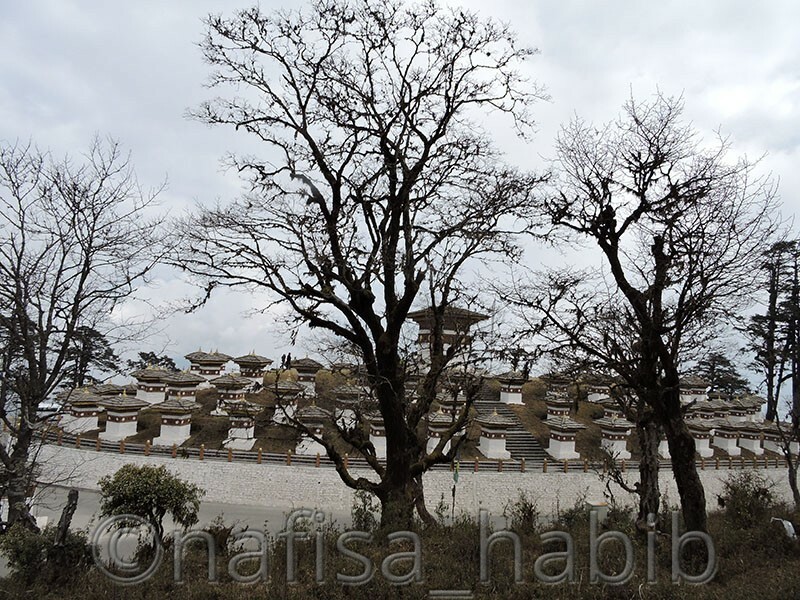 Bhutan comes with different beauty in different seasons. 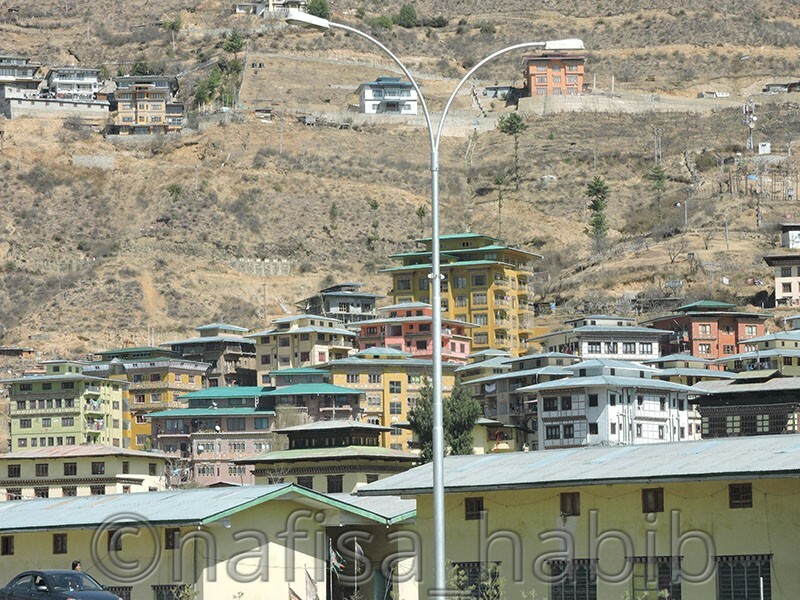 In Bhutan, the economic development or growth not measured with the materials or products. All Bhutanese is encouraged to follow Gross National Happiness instead of Gross Domestic Product. Here happiness actually based on good governance policy, practice or promotes own culture and tradition, and proper use of the environment. Yes, being in Bhutan I amazed to see their love for the nation and their king and queen. No issues with politics, all are practicing their own culture. Money cannot buy happiness. Bhutan is the only country where happiness does not measure by wealth, but still, all are happy by practicing their own prosperity. The world’s only Buddhist nation, though traditional but modern in every aspect of their life and lifestyle. All are self-independent. They are Culturist. Love art, music (modern and classic). All are encouraged from their childhood to take a good education. Mostly well enough to communicate in English and maintain smartness in a getup as well. They got many festivals to celebrate every season. 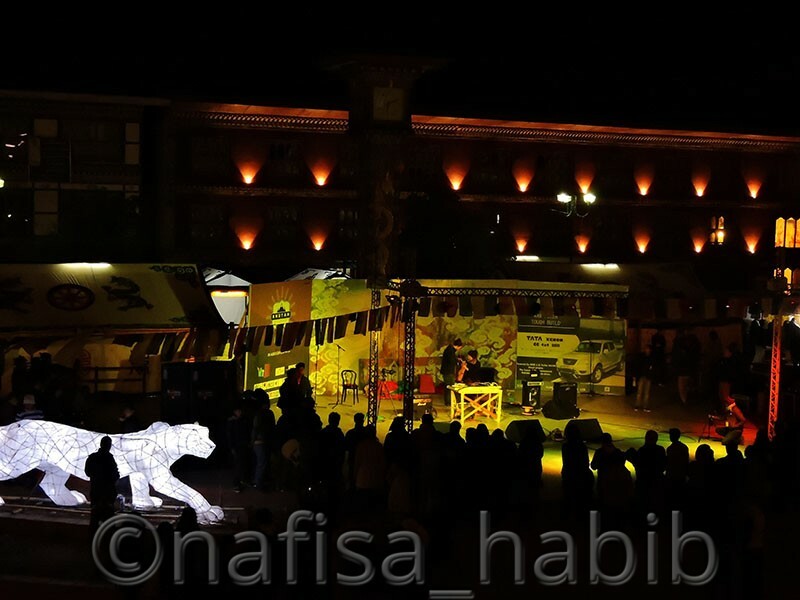 This year for the first time they organized the Bhutan International Festival (Feb 14 – 23) for art, music, photography, culture, film, and education where they invited many international artists with locals as well. I was lucky enough to join this festival at Clock Tower, Thimphu and what really amazed me is that most all programs/events were free for all. 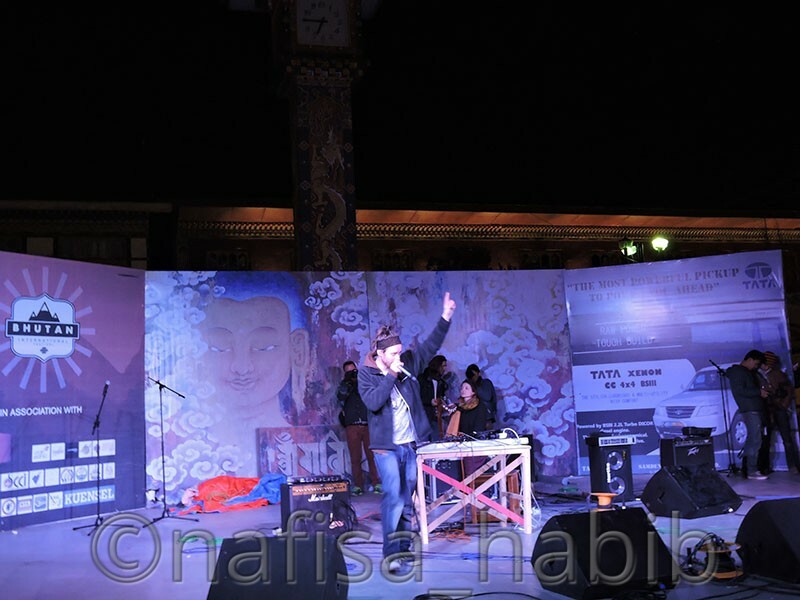 And I really enjoyed here the free open-air concert by British musician MC Xander. Bhutan always considered as the safest Asian country in the world where you are safe all the time. Here crime record is mostly zero and what really attracted me is that all women/girls are self-independent. 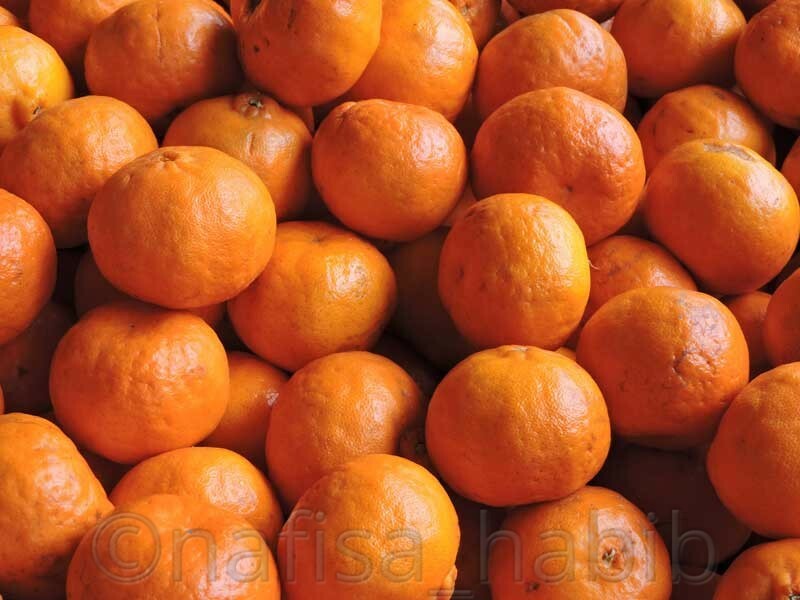 I found them to work in a restaurant, hotel, shopping center, farmers market and medical shop. All Bhutanese are friendly, modest and helpful whether they know you or not. They know how to treat any tourists. You are safe even in a crowd. No problem to travel alone as a woman, in fact, you’ll be amazed by their gratitude always. Here all houses and buildings still maintain their old traditional design in architecture. They use wood a lot to draw many pictures mainly dragon and then color or paints with many bright colors. Same goes for Dzongs or Fortresses and Monasteries, every Dzong got many many years old histories with the old design and architects. 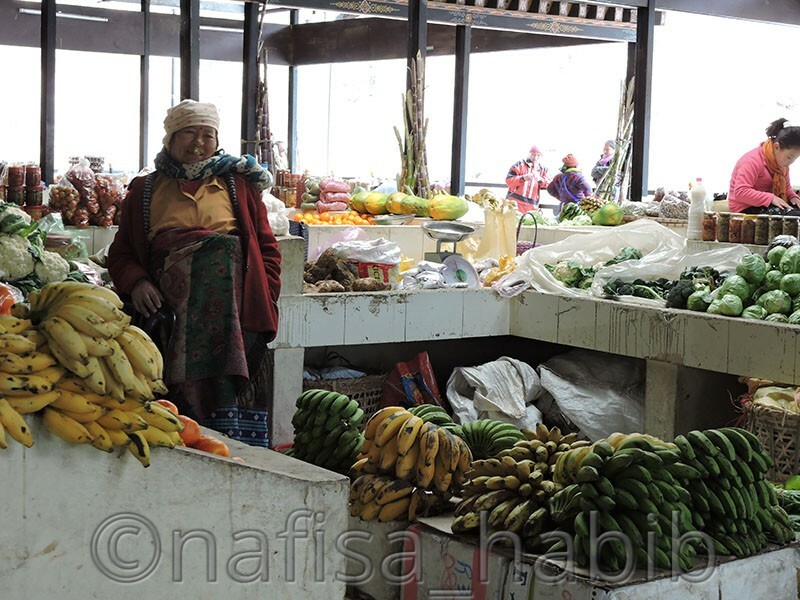 I was really surprised to know that Bhutan is going to be 100% organic nation in the world. Here the farmers practice avoiding chemical fertilizers in the field. The Bhutanese government has taken the initiative to produce organic food by not using any chemicals. 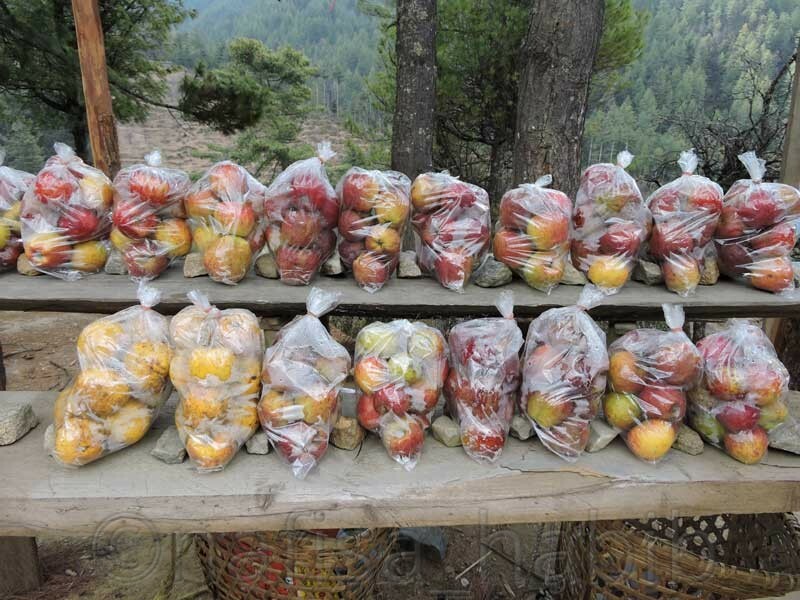 On the way to Dochula Pass, I found locals selling organic apples by the roadside. Each apple skin became dry but they didn’t use any chemical to look those fresh. Isn’t it so uncommon? Yes, it is. I bought one packet of apples and came to know July to August is the time to grow apples in Bhutan. Farmers also sell organic food products at Centenary Farmers Market in Thimphu. That’s Bhutan, always happy with their own identity and truly a must-visit culturally rich country in the world. They make the best uses of their natural resources and well maintain many preserved national parks. 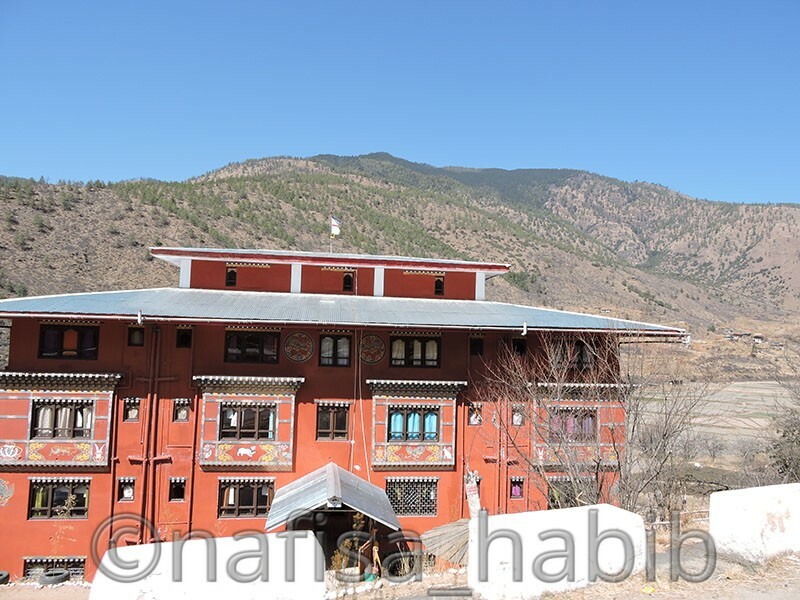 In fact, sustainable tourism indeed practiced in Bhutan. You might like to book Bhutan tours, attractions, and activities online or check out some of the options below. 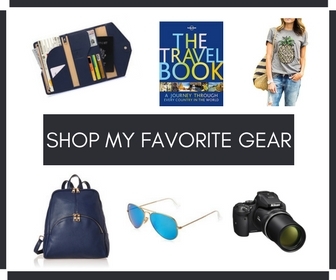 Also some of the recommended travel books you should not miss reading before planning your trip. Like This Post? Click To Save To Your Pinterest Board! 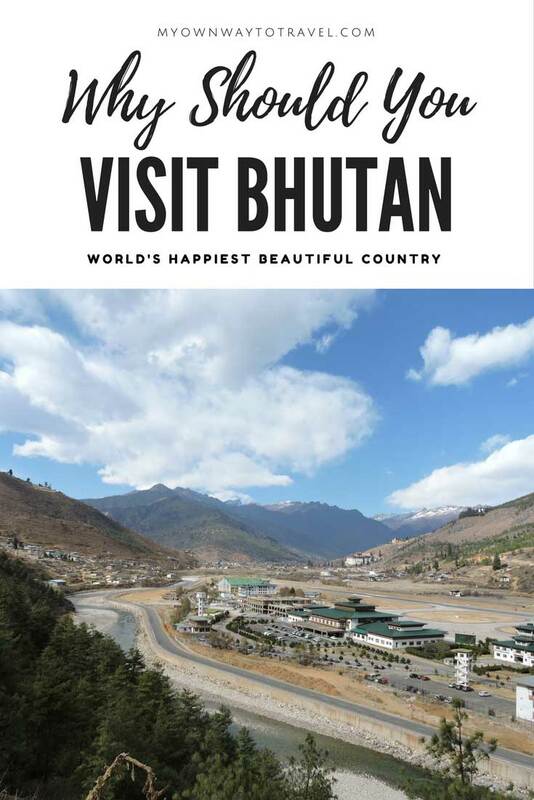 Have you visited Bhutan? 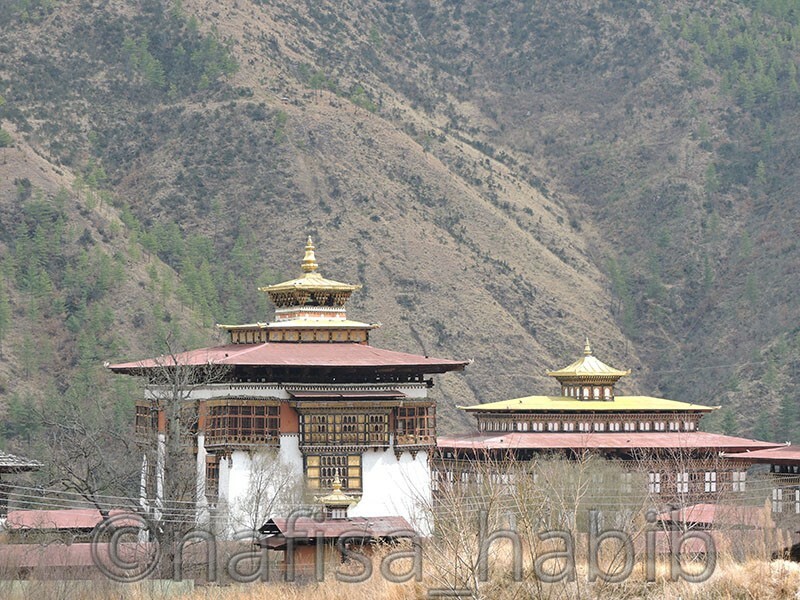 What else really amazed you in Beautiful Bhutan? 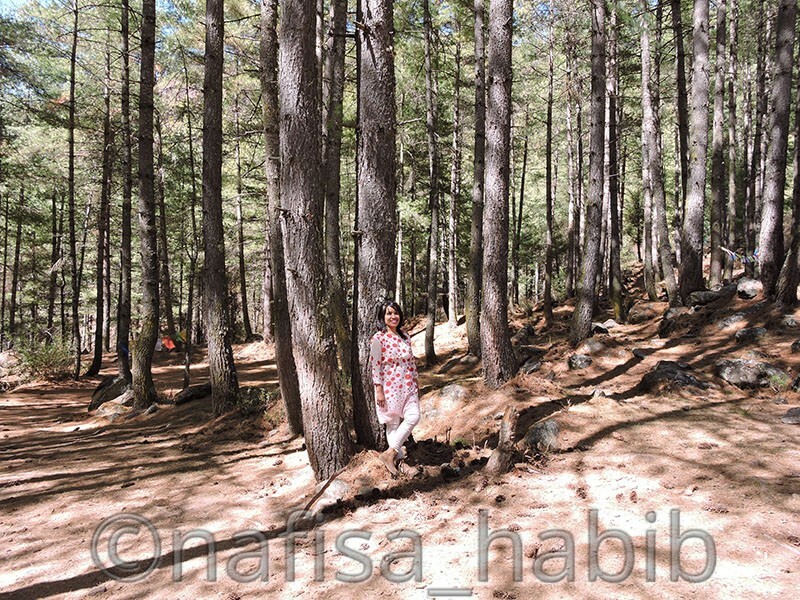 Nafisa Habib loves nature and often got fascinated by old beautiful architecture. Here she is with My Own Way To Travel to share her adventures on the road. To her nothing is so interesting than exploring new destinations around. And knowing a new culture and meeting new peoples on the road? Oh, yeah she just loves that too. If I want to live there for five or more months or years, is it possible? and I want to know the average living cost in Bhutan? like home rent, foods etc..
plz, give me the information. Hello Monir… Well, I can talk as a traveler only. And one traveler mostly will love to stay there one week to 15 days and if you are talking about long time stay then you must have to show the authorities the proper docs and reason behind your stay. And in Bhutan living cost is high regarding all aspects because all main commodities imported from out of the country, mainly India. I found foreigners are staying there with jobs and it can be the best way to stay there for a long time. Possible if you have a work visa/permit. You’ll have to find a company/organization in Bhutan who’ll apply for work visa/permit on your behalf. Fascinating read Nafisa, I now know a lot more about Bhutan than I did 20 minutes ago! My pleasure to know 😀 Thanks a lot, Cheryl! What a beautiful place! You have given me more than enough reasons to add it to my list! Wow. What a great place. And your pictures are amazing. Gross National Happiness? That’s a unique perspective which clearly benefited the country and its citizen. I haven’t been to Bhutan, but I hope to visit one day. Okay definitely adding Bhutan to my bucket list! Tbh I didn’t know much about it until I read your post, so thank you! Truly enjoyed reading your blog.